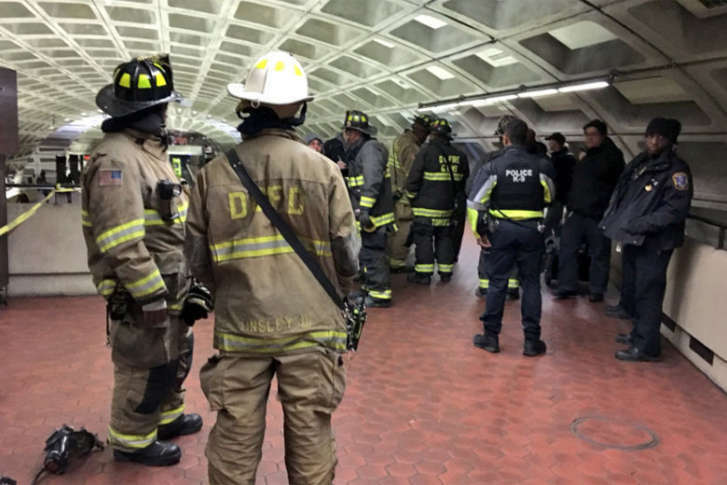 A Metro consultant found that a Jan. 15 Red Line train derailment in D.C. was caused by undetectable rusting under a rail, that was sliding slightly back and forth, under pressure from trains. WASHINGTON — A Jan. 15 Red Line train derailment was caused by undetectable rusting under a rail that was sliding slightly back and forth under pressure from trains, a Metro consultant found. In addition, follow up radio system scans found at least three current radio dead zones in the rail system for Metro workers, Metro Chief Safety Officer Pat Lavin said. However, fire department radios are working everywhere, he said. Metro will quickly work to fix the current radio dead zones, as it has with other locations with radio problems, he said. During the incident, radio communication from the train failed, adding to confusion and delays. Lavin went on to promise that in future incidents Metro would simply shut down power to the area and evacuate riders more quickly. It is thought that would shave up to an hour off the hour and a half that riders on the derailed train had to wait to get out of the tunnel. No one was hurt in the incident, which occurred during what would have been the morning rush hour, if it were not the Dr. Martin Luther King Jr. Day federal holiday. Such undetectable rail problems are rare, Lavin said as he outlined the results of the final consultant report Thursday. The report is not yet public. The pitting underneath the base of the rail that developed into a crack would not have been visible in walking track inspections. The crack expanded due to temperature changes and the pressure from trains moving through the curved section of track, according to the Metro consultant. The outside consultant also found there were no problems with the chemical composition of the rail. Metro is considering increasing its automated ultrasonic testing of the rail system, especially in areas that have had problems with broken rails before. Metro has also done “lateral load testing” across the system to check for tracks that may be at risk of sliding too far apart. Results are expected soon. A separate tie-scan of the system, looking at the supports for the rails, will be done within the next few weeks. A high-resolution video scan of the system aimed at catching broken joint bars or other safety issues started Feb. 20 and is now about halfway done. The final report and recommended changes will be available next month, Lavin said.